Last week, I spent a little time in Russia talking to smart European startups and getting a feel for what’s happening in Russia’s growing startup scene. While in Moscow, I also stopped by the Museum of Soviet Arcade Machines to get a look back at an alternate gaming history that most Americans (including myself) aren’t familiar with. The museum contains a mix of working and defunct arcade machines, and it’s now the largest public collection of mid-1970s arcade games manufactured in the Soviet Union. Back in 2007, three friends — Aleksandr Stakhanov, Maxim Pinigin, and Aleksandr Wugman — were inspired to find a working unit of Morskoi Boi (Sea Battle), a highly popular submarine arcade game from their childhood. Eventually they found a unit, tried to fix it, and ultimately broke it beyond repair. Later, the trio started getting better at restoring these old machines and finding workarounds to replace parts that don’t exist anymore. But it’s still hard to keep these machines in order. I tried most of the games at the museum and found myself pleasantly surprised with their quality. These games may not be as advanced as arcade staples like Donkey Kong or Tetris, but they have a soul. If this has been my first arcade when I was a child, I would’ve had a lot of fun. Another great game was Snake, which reminded me quite a bit of that other Snake. In this version, you play a snake roaming a field trying to eat rabbits (what’s with all this rabbit violence?) and avoid running into crops and your own body. It was surprisingly difficult, with the rabbits often jumping out the way just as you approach. 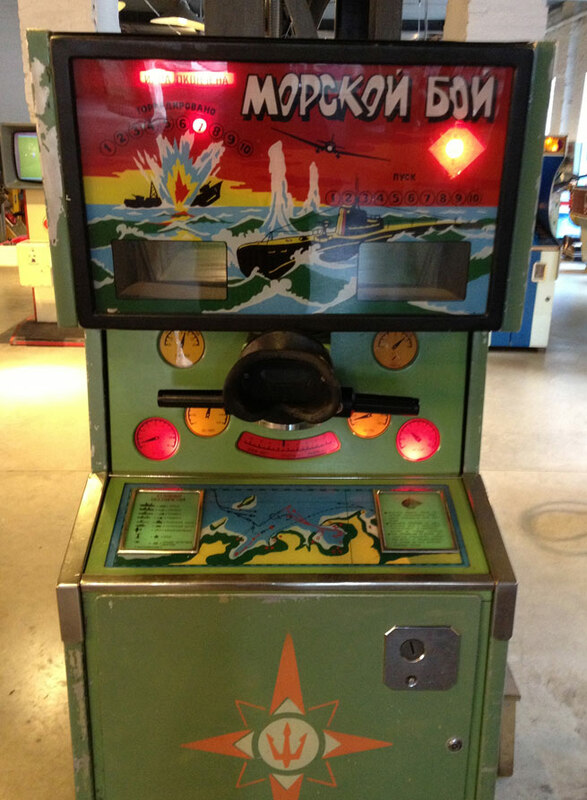 Take a look at the gallery below to see the many types of Soviet-era arcade games are at the museum.